Firstly, your snowboard jacket needs to be waterproof, insulated and breathable. These are all things that you can check for when seeking out the perfect women’s snowboard jacket. 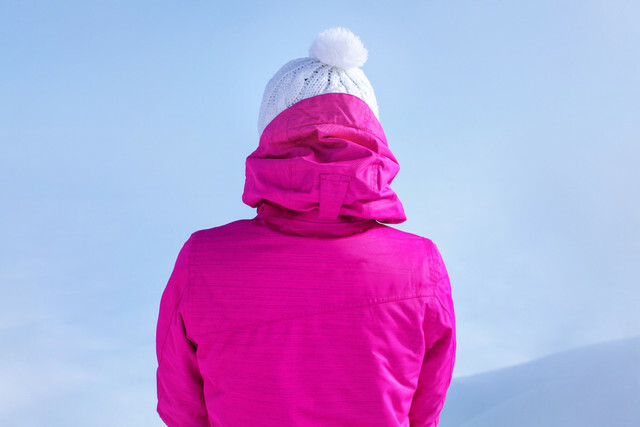 The waterproof rating of the jacket should be somewhere between 5,000 and 20,000 mm – although 5,000 is considered fine for a day on the slopes, if you are an avid snowboarder or are venturing into particularly wet conditions, you should opt for the highest rating you can find. This kind of protection will ensure that you don’t feel the effects of any falls or changes in weather. For the ultimate in waterproof protection, opt for a snowboard jacket made from Gore-Tex fabric. This specialist fabric helps to keep any moisture out whilst also allowing an enhanced level of breathability – the perfect combination for action sports, especially in tricky conditions. For an added level of breathability, look out for pit zips. As their name suggest, these are simple small vented areas around the armpit of the jacket that you can unzip, allowing your body temperature to regulate. Storm flaps and snow skirts are additional sections of fabric that help to ensure any vulnerable areas of the jacket – like the fastening and the bottom edge, are doubly protected. Keeping snow, moisture and cold out of these areas is vital for keeping you happy and comfortable as you enjoy a day at ski. Another special feature of many great quality snowboard jackets is enhanced seams. Fully taped seams are all secured to ensure that moisture is kept at bay – protecting all of the opening points of the jacket. If your snowboard jacket has critically taped seams, this means that those areas that are deemed most important in terms of protection, like around the neck, are taped to give them an extra level of security. A snowboard jacket may also feature welded seams, which simply means that they have been fused together using heat – giving them a tight finish that you can rely on when hitting the snowy terrain.